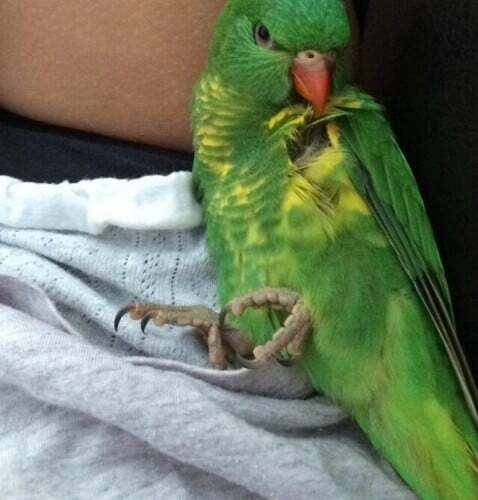 MISSING Green & Yellow Scaly Breasted Lorikeet. Henry is only 6 months old so still fairly small. He also has beak and feather disease so he can’t fly properly, if at all. The disease has also discoloured his tail and flight feathers – they are yellow instead of green, and will fall out soon/they may not be there if you find him. 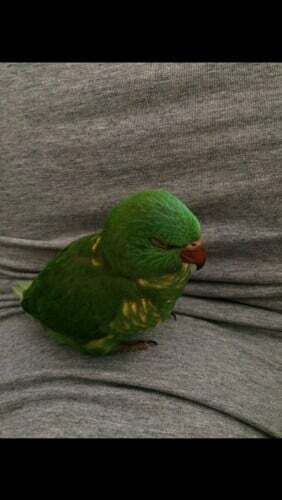 If you see a green bird which you think might be Henry, PLEASE gently try to lure him with green grapes or wet lorikeet mix, which he loves. I really want him found, he is super friendly and he is always with me. Please share Henry’s page to all your social media accounts, it will be greatly appreciated.